Hop across the Gambian border into neighbouring Senegal, where you’ll discover luxury wrapped in canvas. 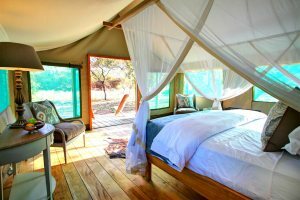 Staying in luxurious air-conditioned safari tents, Fathala allows guests to experience a wide selection of Africa’s superb wildlife. 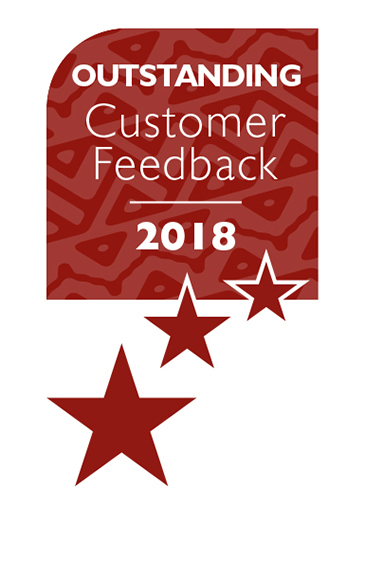 "Fathala is a little gem! Great birding and wildlife, super food, and coupled with a very special atmosphere, this all makes for an unforgettable experience"
Observing the rhino up close during dinner when he visits the watering hole at the lodge is an amazing experience. The 40-minute ferry crossing – what a wonderful opportunity to experience authentic examples of African life before arriving at your luxurious lodge. Packages are available to pre-book year round, including dinners and a selection of excursions; alternatively, individual trips can be arranged on arrival. A wide variety of birds can be viewed around the reserve, however it is not possible to walk unaccompanied outside the grounds of the lodge itself. Leave time to enjoy the beauty treatments (payable locally). This superb property is totally unique and allows you to combine a safari experience with a wide range of other excursion options, making the most of its unique location close to the waterways of the Sine Saloum Delta. Enjoy the sights and sounds of Africa from the terrace of your luxurious accommodation, or cool off in the plunge pool. A magical atmosphere exists by night as guests gather around the fire pit, observing the wildlife at the nearby watering hole before dining in the traditional thatched restaurant. For the more adventurous, take a glimpse into West Africa’s past on board a safari truck for a local game drive. Expert guides will help you to explore the bush and its inhabitants, including rhino, giraffes, buffalo, zebras, warthogs, monkeys, antelope including the endangered Lord Derby Eland and more, all roaming free amongst the mighty mahogany trees. This experience allows you to get close to these incredible animals which have been reintroduced to their natural habitat, so be sure to remember your camera! The real treat with Fathala, luxury safari tents aside, is that it’s big enough not to feel overly managed. Set within 2,000 hectares of a 6,000 hectare national reserve in the Sine Saloum South region of Senegal – the animals roam free, minding their own business – and yet it is set up in such a way that the wildlife always feels close enough to lend a sense of being immersed in Africa. This property is easily reached from The Gambia and the transfer from Banjul is approximately three hours including a river crossing of 40 minutes which provides a real insight into African life. You can combine Fathala with any of our Gambia or Sine Saloum Delta hotels; if only staying at Fathala or combination of Senegal properties, you will need to spend your first night in The Gambia. Due to the slightly erratic nature of the ferry timetable it may be worth considering not returning to Gambia on your return flight day for peace of mind. It is also featured in our 7-night Wildlife of The Gambia and Senegal tour, along with Mandina Lodges and the Chimp Rehabilitation Project Camp in the River Gambia National Park. Fathala Wildlife Reserve has an activity centre which offers a wide selection of excursions enabling you to experience the Reserve fully (payable locally in CFA, €, £, $ or can be pre-booked). FATHALA WINTER SPECIAL: the 2 night option includes 2 dinners, a 3-hour guided game drive & 1 sunset mangrove cruise per person (including snacks and selected drinks)​ - from £120pp in addition to the cost of your accommodation. Available Winter 2018/19. 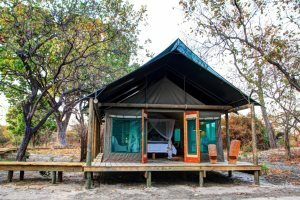 FATHALA WINTER SPECIAL: the 3 night option includes 3 dinners, a 3-hour guided game drive (including snacks & selected drinks), 1 full day island boat trip (including lunch & selected drinks) and 1 bush walk per person (including water, coffee & biscuits) - from £185pp in addition to the cost of your accommodation. Available Winter 2018/19. FATHALA SUMMER SPECIAL includes 2 dinners, a 3-hour guided game drive & 1 sunset mangrove cruise per person (including snacks and selected drinks) - From £95pp in addition to the cost of your accommodation. Available Summer 2019. The open-air Mahogany Restaurant and lounge is the ideal place to enjoy a filling continental breakfast, with hot dishes cooked to order, or a delicious lunch and evening meal, whilst enjoying the sights and sounds of the Reserve around you. The Fathala Cafeteria at the Activity Centre serves light lunches, including fresh pizzas from its own pizza oven. Please note that there are no other restaurants in the vicinity as the lodge is in the middle of the game reserve. Credit cards are accepted at this property. Luxury air-conditioned safari tent with double/twin beds draped with mosquito nets. 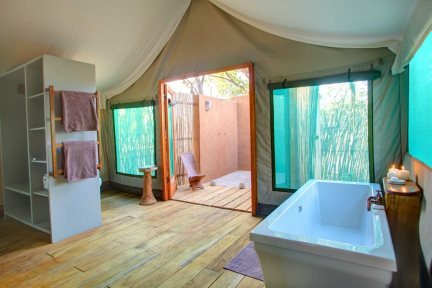 The safari tents are comfortably furnished with their own private bathroom and outside decking area. Sleeps up to 3 people (a third bed can be added for one child up to age 12). During your stay at Fathala, enjoy a typical African bush experience in an open-air vehicle on a guided sunrise or sunset game drive through the reserve. See family herds of the rare West African giant derby eland – only found in this part of the world, and visit the breeding camp – and other antelope species such as roan, waterbuck and bushbuck. Also to be seen are giraffes, rhino, buffalo, warthog as well as red colobus, green vervet and red patas monkeys and exquisitely coloured bird species amongst the giant African mahogany trees. Enjoy a morning coffee or evening sundowners and snacks next to the waterhole as you experience a magnificent African sunrise or sunset. Binoculars are advisable as animal and bird sightings are not always close by. Guided game drive includes: vehicle, guide, snacks and drinks.